The Zen of Love is one of the clearest books ever written on the fundamentals of spirituality and personal growth. In its pages the philosophy of Zen meets the most practical aspects of love and relationship (with self and others). Author, Peter Cutler, combines deep insights, warm anecdotes, and effective exercises to awaken the reader's heart and mind through authentic love and compassion. The Zen of Love is an absolutely wonderful book – highly compelling and beautifully written. Its openhearted message of love positively beams from every page. The book immediately elicits a palpable and tangible experience of the love which it speaks. I began reading it and by page three melted into the ineffable essence of the author's writing. If you are seeking a book about spiritual awakening / enlightenment which contains more than just words, you've just found it. A lot of Truth spoken here. 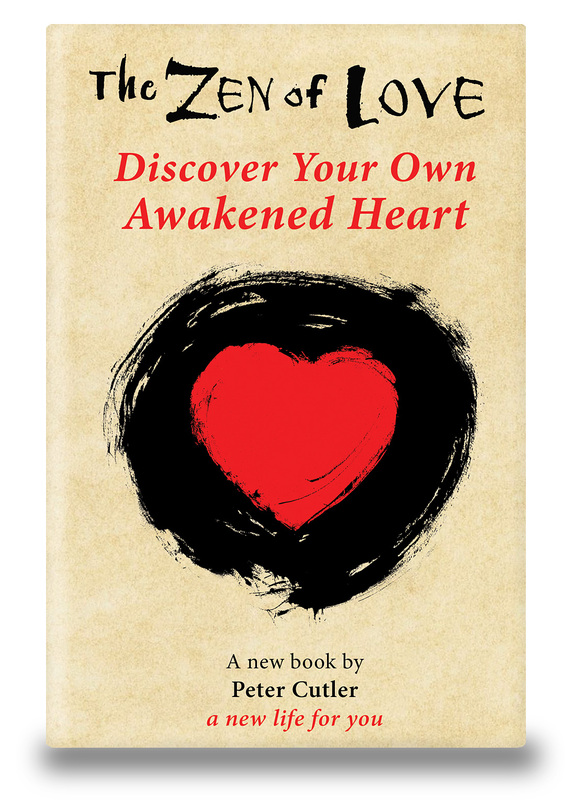 On this page is the link to download the entire book The Zen of Love – Discover Your Own Awakened Heart. I am very happy to gift you with this book. I hope you enjoy it. Even more, I hope it transforms the relationships you have with yourself, others and the world. Feel free to share it with as many people as you feel called to. Couples have told me they read chapters to each other every morning. I'm very happy to hear this. The book is meant to be shared. The world can always use a little more love. The book is also available in print through Amazon.com for $14.99 and on Kindle and similar platforms for $3.99. If I could I would give you those for free as well. This book is meant to be shared. If you enjoy the book and receive benefit from it, please write a short review on the book's page on Amazon.com. Reviews help more people find the book.